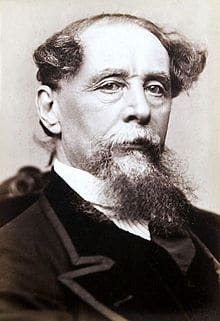 Charles Dickens (1812 – 1870) Victorian novelist who created some of the most memorable characters in English Literature, while also criticising the worst excesses of Victorian society. Novels included Oliver Twist, Great Expectations and David Copperfield. Charles Dickens was born in Portsmouth on 7 February 1812, to John and Elizabeth Dickens. As a child, Charles experienced the fickle hands of fate; he was first taught at a private school before being removed because of his family’s financial hardship. In fact, his father’s debts were so bad, the whole family (apart from the young Charles was sent to the debtor’s prison at Marshalsea – this would later be the setting for one of his novels – Little Dorrit). However, although Charles escaped detention in the debtors’ prison, he was made to work long, 10 hour days, at a local boot-blacking factory. 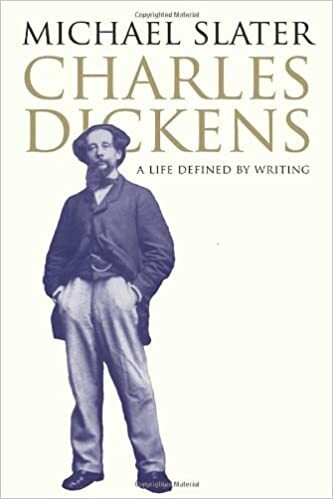 The hard and dangerous work left a lasting impression on Charles Dickens, who would later incorporate in his writings a sense of social injustice that was endemic in Victorian Britain. “I had no advice, no counsel, no encouragement, no consolation, no assistance, no support, of any kind, from anyone, that I can call to mind, as I hope to go to heaven!” – from David Copperfield. Charles managed to escape the grind of factory work, by training to be a shorthand writer and gaining employment as a journalist – reporting on court cases. In 1833, he became a parliamentary journalist for the Morning Chronicle. The young Dickens was fascinated with the Houses of Parliament, though he was often left with a lowly impression of the MPs. Shortly after this, he began writing his first serialised stories, published under a pseudonym – Boz. In 1836, he married Catherine Hogarth and also in that year, he saw the first publication of ‘The Pickwick Papers.’ His first book proved to be a great seller, and this enabled him to become a full-time writer. Charles Dickens is one of the most popular writers in English. In particular, his novels are brimming with colourful and eccentric characters which leave a lasting impression. He achieved this through his vivid memory of the various people he had met through his life, but also he added a touch of fantasy and exaggeration with his vivid descriptive style. There are various themes which run throughout his writings, which often reflect a degree of autobiography. 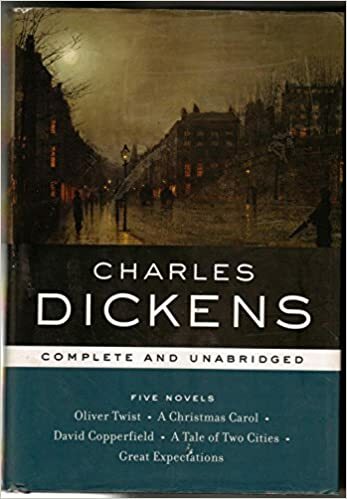 Dickens loved the ‘rags to riches stories’, exemplified by Oliver Twist and David Copperfield. He frequently highlighted the worst excesses of Victorian society and made a passionate case for a more caring and moral society. Charles Dickens had ten children with his wife, but, became estranged from her and ended his life living with his mistress Ellen Ternan. Also towards the end of his life, in June 1865, he was involved in the tragic Staplehurst rail crash where he narrowly avoided injury. Dickens wrote a book about Jesus Christ The Life of Our Lord (1849) – where he encourages others to follow the Christian faith. He professed to be a practising Christian in the Anglican faith (with also an interest in the Unitarian church). However, he could be critical of organised religion and opposed the idea of keeping the Sabbath only for church-going. Dickens was a noted philanthropist helping to raise funds for charities, such as Great Ormond Street. He also helped to set up a home for ‘fallen women.’ The emphasis was on providing destitute women with an education and way to redeem themselves in societies eyes. Redemption was an important aspect of Dicken’s philosophy and he often criticised harsh and punitive punishments, such as solitary confinement. 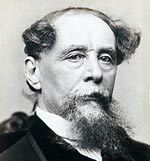 Dickens died on June 8th, 1870 after a stroke. He was writing a book ‘Edwin Drood’. He had wished to be buried at Rochester Cathedral in a simple and private manner, but contrary to his wishes, he was buried at Poet’s Corner, Westminster Abbey. Citation: Pettinger, Tejvan. “Biography of Charles Dickens” Oxford, UK. www.biographyonline.net, 25th September 2009. Last updated 13 February 2018.